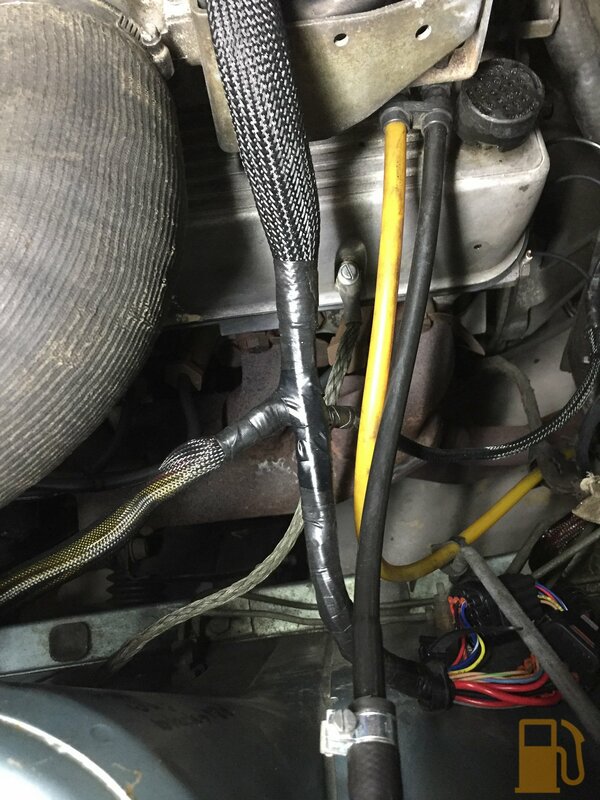 Back in December 2016 I spent considerable time and money replacing all the fuel hose in the engine bay due to perishing and cracks in the old hose. I used proper high quality EFI rated fuel hose from a hose supplier in the UK. 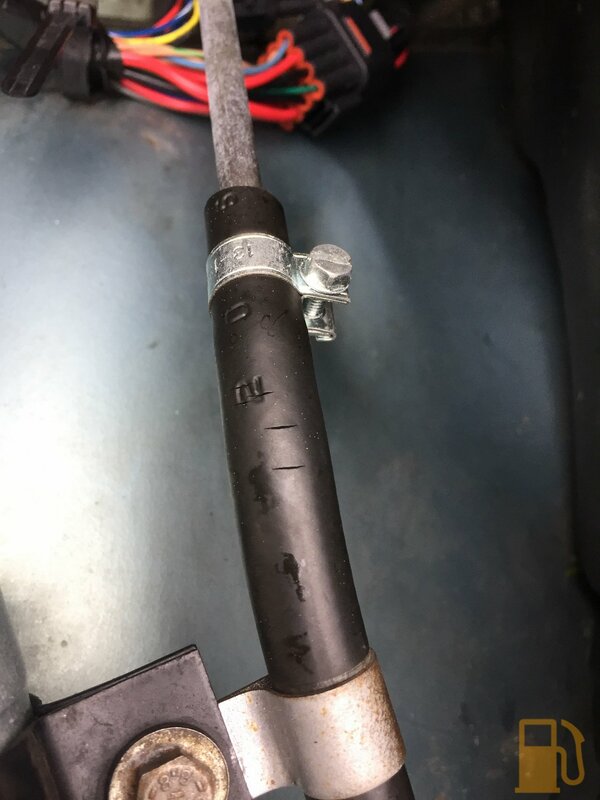 *UPDATE* Do NOT buy “SAE R30 J9” fuel hose from AFS in the UK, as it has come to my attention that others have had the same issues with their hose. Its suspected the rating may be fake. I will be sourcing some name brand hose locally (at considerable cost no doubt). Yup, cracks in my lovely new fuel hose. Thankfully no leaks, but you cannot be too careful when it’s pressurised fuel. 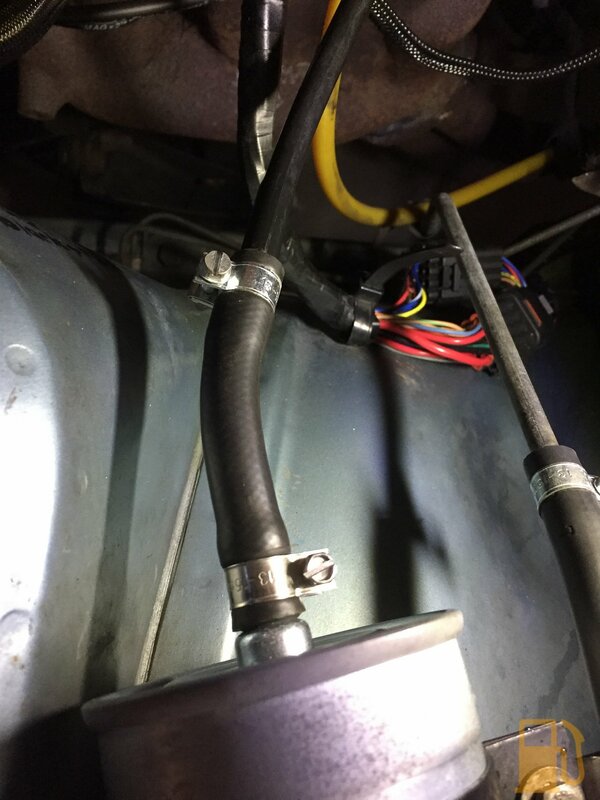 The hose above is the feed line to the fuel filter, and it’s not only cracked in the above spot, it was also cracked in the large curve just before the filter. I don’t know why, it’s not like the hose is subjected to huge under bonnet temperatures or anything. The rest of the hose that I can see under the plenum and on the injectors all appears visually OK. I replaced the cracked hose with more of the same hose (because I had a meter or two spare), and I will keep a close eye on how it holds up. If it cracks again, then I don’t know, guess I’ll have to buy some different hose. Since I had the car in the garage, I also decided to fit this secondary earth strap I found in my spares the other day. The engine has one main strap from the alternator bracket to the inner guard near the battery, and that’s the only engine ground. I added this ground from the valve cover, to the inner guard on the other side of the car, so now there is a ground on each side of the engine. Cranking is now much faster, so obviously there was quite a bit of voltage drop going on. Hurrah! 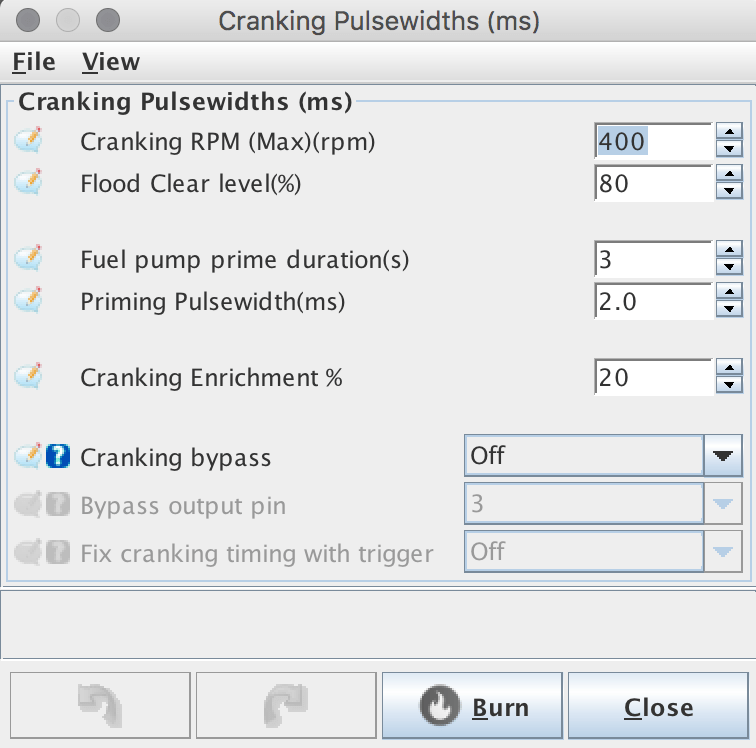 Speaking of cranking, a new feature was added to my Speeduino ECU today. Previously the cranking enrichment has been a single figure that covered all cranking, no matter the temperature. I have had huge issues with my starting since fitting Speeduino, where it just takes forever to start, with lots of cranking. The other day I did a lot of work on the cranking and starting and got the car to start quickly when cold by upping the enrichment from 20% to 70% (this % is on top of the base fuelling). Obviously when cold it was cranking lean. Unfortunately this had the knock on effect of also adding 70% on top when cranking warm. This resulted in long cranking times, pumping of the gas, and often a plume of black fuel smoke when it did start. 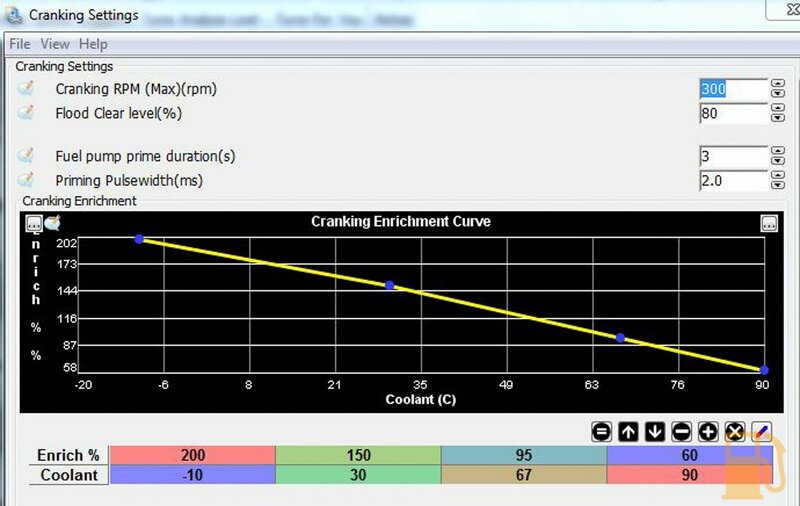 Today, with the latest firmware update, that single cranking enrichment figure was changed to a coolant temperature dependant four point table. This allows me to have a different cranking enrichment figure warm or cold, and anywhere in between. So from that table, at -10c coolant temp there is an additional 100% fuel when cranking, to help with those super cold starts, and when the coolant is hot at 90c, it actually pulls 40% fuelling out. Normal coolant temp for me when warm is around 75-80c, so starting at those temps I’m pulling about 30% or so out. 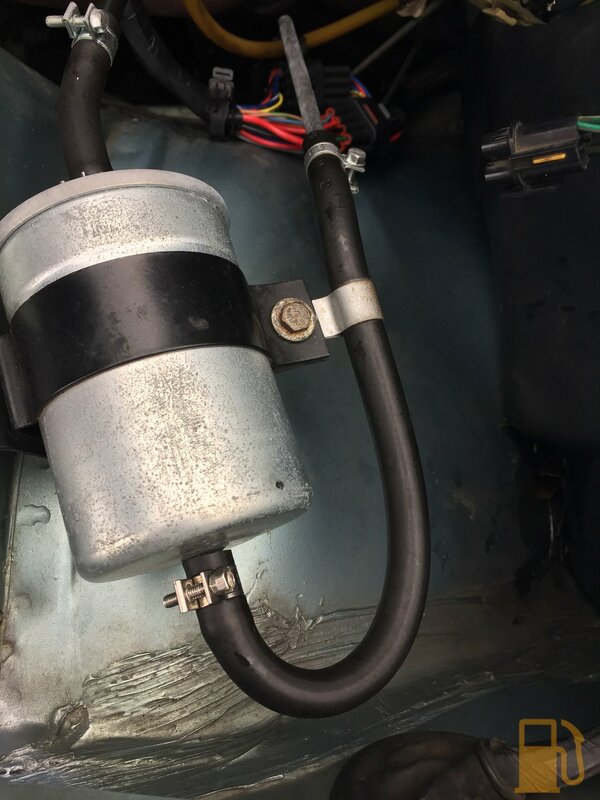 This has allowed the car to start cold quickly like before, but now also allows the car to start with about half as many turns of the engine, no throttle, and no plume of smoke when warm. I still have some tweaking to do when warm, but now I wont risk killing the battery when starting warm. Hopefully with winter slowly going away (although I swear it’s getting colder), I’ll be able to use the car more, and complete some of the work I want to do to it. A replacement rust free sunroof panel arrived the other day, so that will need some rust-proofing and then painting, so I can replace the crusty ugly old one on the car.